I moved from Thunder Bay to Kingston in 2008 to study Spanish at Queen’s University. After graduation from Queens’s in 2011, I moved to St. Lawrence College for the three-year veterinary technology program, which I successfully completed in 2014. 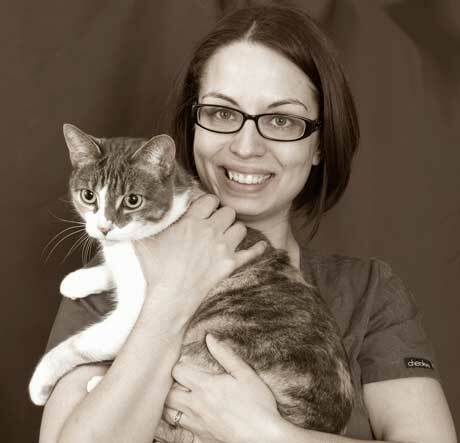 I joined the Kingston Veterinary Team in June and became a Registered Veterinary Technician after passing the National Veterinary Technician exam in August 2014. I share my life with my husband and my two cats, Shaq and Cleo. In my spare time, I enjoy hiking, playing softball and ultimate Frisbee, reading and travelling. I am looking forward to meeting and helping you and your pets in the coming years.